We’re very excited to announce that William Fitzsimmons is heading back to the UK & Europe in May! 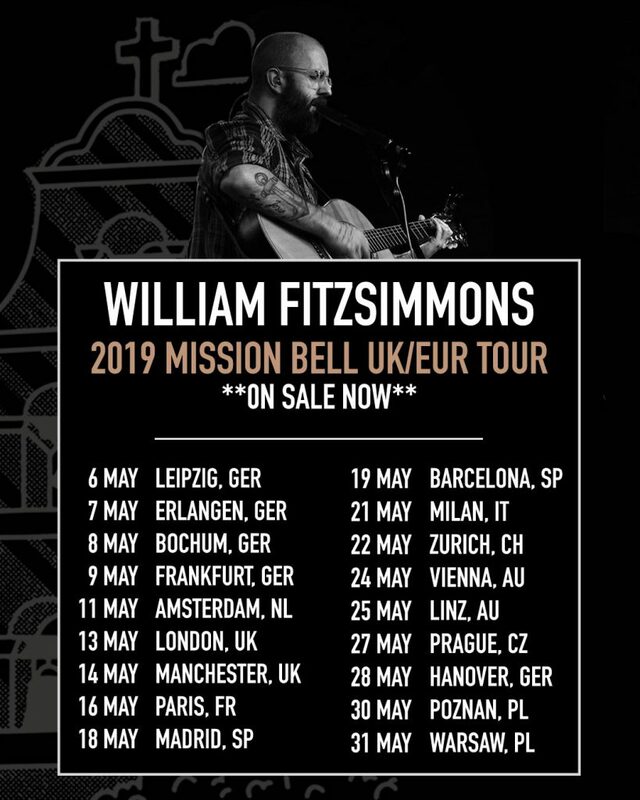 Join William for his 2019 Mission Bell UK/EUR Headline Tour. Check out all the dates below and grab your tickets NOW on sale HERE.